To understand how an LLC is taxed, first you need to understand how a traditional corporation is taxed. By traditional corporation, I am referring to what accountants and tax lawyers call a “C” corporation. The “C” comes from the subchapter in the IRS tax code that controls the taxation of corporations. If the company has the term “inc.” or “incorporated” after its name, then it is probably a C corporation. There is also something called a subchapter S corporation that is taxed differently. A corporation is subject what is called an “entity-level” tax. That means that the corporation pays taxes itself, as if it were a person like you or I. The tax rates are slightly different for corporations, but are generally fairly close to the highest marginal tax bracket for individuals–approximately 35%. As an owner of a profitable corporation, you will receive dividends. These dividend payments from the corporation come from cash it has after having paid the entity level tax above. When you receive a dividend, you must pay taxes on that dividend. Currently, dividends are taxed at a maximum rate of 15% federal (+ state taxes that vary by state). This is where the concept of the double tax comes in. If you own a corporation for your small business, first the corporation pays 35% taxes, then you pay 15% on dividends. The 15% tax rate on dividends is new since the Bush tax cut. Before, dividends were taxed at the maximum personal rate–which was as high as 39.6% under Clinton. Before the Bush tax cut, an owner of a corporation paid 35% corporate tax + 39.6% federal tax on dividends + state tax on dividends. The Bush tax cut is not permanent. So, the low 15% dividends rate might not be around forever. Corporate owners might go back to paying 35% corporate tax + 35-39.6% federal income tax on dividends. Unlike the corporation, the LLC as an entity is not taxed at all. 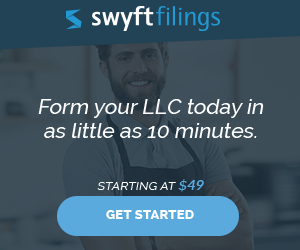 There is no 35% entity level tax on an LLC. Instead, all profits and losses of the LLC “pass-through” (that’s the term that accountants and tax attorneys use) to the owners. Only the owner pays taxes at his or her regular income tax rate. Some attorneys and tax accountants call this “partnership taxation”, because partnerships have traditionally been taxed the same way and have existed for centuries. The first LLC statute was passed in Wyoming in 1977. The LLC, like the partnership and limited partnership, is a pass-through entity. The passing through of profits also includes losses. This is a great advantage for real estate investors, and why attorneys and developers use the LLC almost exclusively to hold title to real estate. The LLC is rapidly replacing the partnership and limited partnership for holding new real estate deals. Of course there are plenty of partnerships still in existence today because they were formed before LLCs grew in prominence and acceptance. Because of depreciation, real estate investing often creates “tax” or “paper losses”, even if the project generates positive cash flow. These tax losses can pass through the LLC to the owners and allow them to take tax deductions even if their real estate is generating positive cash flow. These tax losses would be trapped in a C corporation–among other problems of investing in real estate within a corporation. It used to be that there was a complex four-factor “test” that every LLC had to pass before being treated as pass through entity. The IRS has since abolished this test and simply allow you to check a box on your Articles of Organization to select pass through (aka “partnership”) taxation. 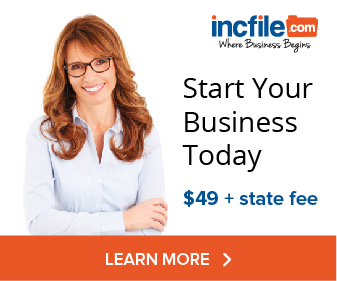 Find the right tax form for filing your LLC’s taxes. Read more about pass through taxation and how an LLC avoids the double tax of C corporations. Step by step instructions to completing and filing Articles of Organization. Download articles of organization for any state.